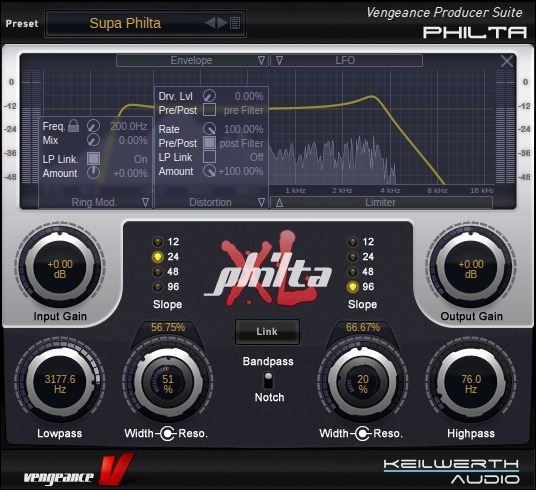 Vengeance Producer Suite : Philta XL, Software Filter from Vengeance Sound. 75 presets by Manuel Schleis. 2 filters (12db, 24db, 48db or 96db). Band pass & notch mode (phaser). 2 tempo-synced LFOs (for low- and high-band) with 5 LFO shapes. 2 envelope followers (for low- and high-band) with variable source frequency. Filter saturation / Distortion (pre or post Filter). 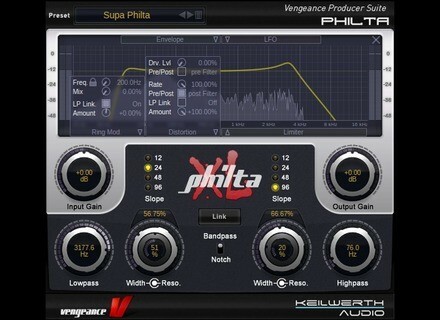 Rate reducer / bitcrusher (pre or post filter) linkable to cutoff frequency (+LFO & Env). Output limiter (limiter taken from Multiband Compressor). All parameters can be automated with the host. 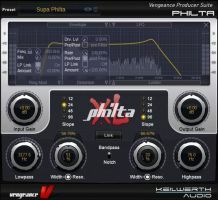 Vengeance Producer Suite - Philta XL costs €49.99 / $65 and is available for Windows and Mac OS X (Intel) in VST and AU effect plug-in formats. 2CAudio Breeze 2CAudio has announced the release of Breeze, a new reverb plug-in that is described as "Aether's pristine eco-conscious cousin". LMMS Linux MultiMedia Studio Update Linux MultiMedia Studio, or LMMS, has been updated to version 0.4.9 for both Linux and Windows. ExperimentalScene Updates DarkWave Studio v3 ExperimentalScene has updated DarkWave Studio to version 3.1.9.